← Les Blank: Always For Pleasure. Part One. I started collecting Criterions sometime around the year 2000. I use the term “collector” loosely. I wasn’t thinking of spine numbers or wanting to obtain the entire collection. The films were what drove my purchases. I wanted the films that I loved, which included many from Renoir, Bergman, Kurosawa, and so on. Some of the early purchases were Grand Illusion, Bob le Flambeur, and Le Corbeau, all of which are out of print now. At the height of my DVD collection, I probably owned somewhere in the realm of 50 titles. At one point, years later, I remember seeing an Amazon listing for the entire Criterion Collection for sale. The list price was $5,000 and it encompassed several years of releases, possibly as many as 300-400 spines (I forget the exact number). When reading the titles, I was drooling, but there was no way in the world I could afford that price tag. However, the seed was planted and ever since I have longed to someday own the entire Criterion Collection. 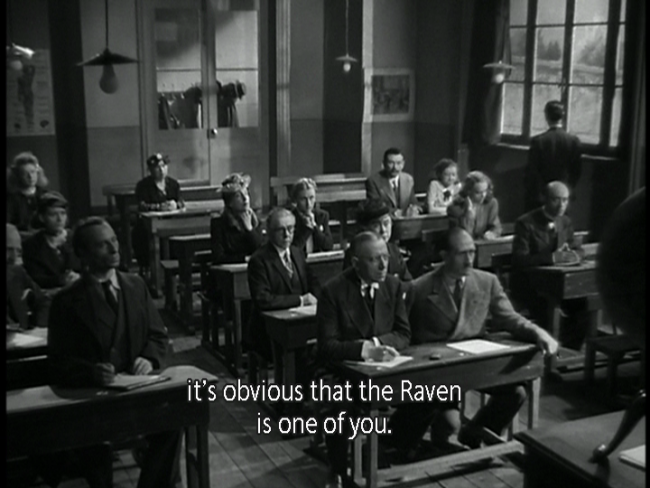 Le Corbeau: One of my early acquisitions. 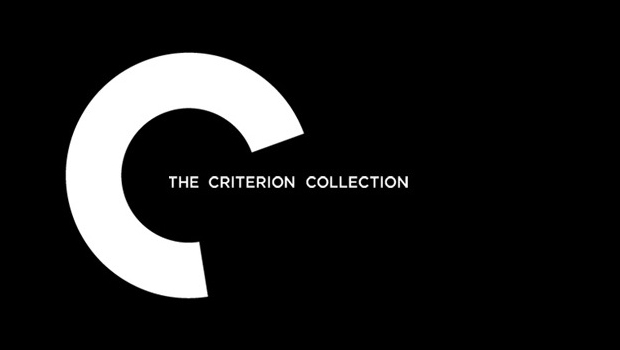 Over the years, I continued purchasing Criterions as I found a title that caught my fancy, yet amassing the entire Criterion Collection was still a pipe dream. Over time as I started to get established in a full-time and somewhat lucrative career, I started buying a few more. Criterion meanwhile transitioned from DVD to Blu-Ray, and I embraced the new technology because the home experience was comparable to the big screen experience. Over the last year, things changed drastically. The catalyst was that my wife became a Jeopardy champion. She won one game and came in second the next day. This was not enough for us to quit our jobs, but it was a nice nest egg. It gave us a financial comfort level. We are both gainfully employed with stable jobs, but we were focused more on paying bills, investing in our future and buying the occasional toy. After we returned home from our successful trip to California, I asked my wife if I could splurge on some Criterion titles. She said yes. She’s awesome. Let me first establish that this was not her money. It was actually mine (or maybe our?) money that we had set aside for a rainy day. Just knowing that we had the Jeopardy money in our future made us more comfortable with some extra spending. Collecting all of the Criterion spine numbers at this point is overwhelming even if you can afford it. There are currently 753 spine numbers and counting. It might also be wasteful, as they are consistently upgrading their DVD catalog to Blu-Ray. I’ve already upgraded about 30 titles that I already owned. On top of that, some of the early titles have poor transfers or are lacking special features. 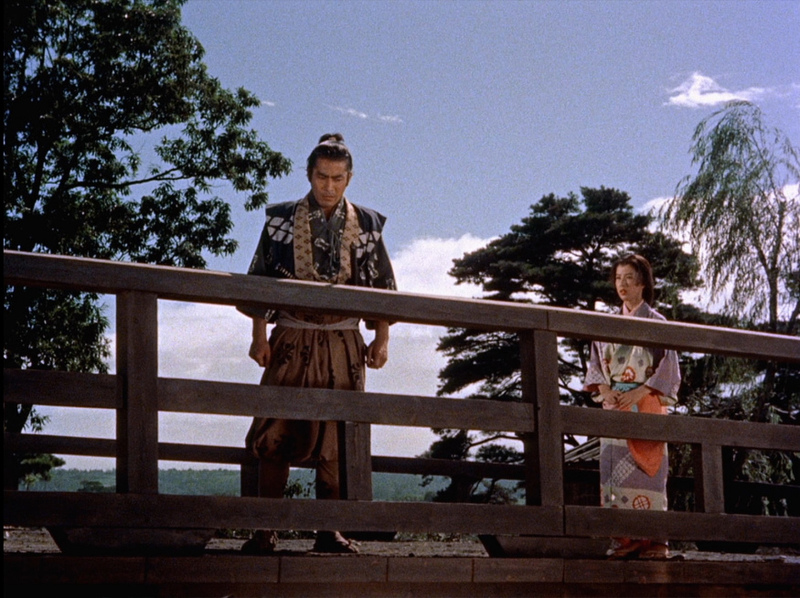 One example is the Samurai Trilogy. The original transfer is horrendous and almost unwatchable, whereas the high definition transfer is delightful. The colors make the most out of the Blu-Ray format. For this reason and more, I have decided to collect Blu-Rays only. David at Criterion Reflections made a good point on a recent CriterionCast. A lot of newer collectors will opt for the Blu-Ray only titles, which is understandable given the sheer amount of investment it would take to collect the entire library. Some of those collectors are young or newer to it. That’s not me, but I’m in a somewhat similar position. Unfortunately they miss out on some of the hidden gems, many of which will not be upgraded due to rights issues (like all those StudioCanal titles). Even though my collection consists of almost 95% Blu-Ray, I still like to watch the older titles, especially for my yearly lists. Rather than invest even more into the collection, I prefer to either use Hulu Plus or my local library for the DVD spines. Once they get upgraded, I will buy them. I’ve been strategic as to when I will make my purchases. I tend to hit the Barnes & Noble and Flash Sales hard, while buying the new releases as they come out. I try to encourage people to give me gift cards for birthdays and Christmas, and I use Amazon credit card points to pick up occasional titles. I’ve now collected the vast majority of the Blu-Rays that are available, and every box set. There are roughly 30+ un-owned Blu-Ray titles remaining, some of which are out of print, and some of which I dislike. My goal is to own them all anyway. In fact, that is now my New Year’s Resolution. This year I plan to complete my Collection, including the expensive out-of-print (The Third Man) and crappy (The Big Chill) titles. Watching them is another story entirely. Since I’m already an art film-buff, I’ve probably seen more than half of the titles, but for this project, I want to revisit them with total immersion, which includes watching all of the special features and occasionally doing additional research. Perhaps in a couple years when more titles have been upgraded, I’ll start procuring the older, more obscure titles that are unlikely to be revisited. Let’s face it that Criterion is a business, and some titles sell better than others. For now, I’m considering my collection complete once I have all of the Blu-Ray spines. Posted on January 9, 2015, in Blog, Criterions. Bookmark the permalink. 4 Comments. Pretty much started the same way with some DVDs and stopped collecting Criterions until the advent of Blu ray. Finally caught up with all Blu rays with strategic planning and almost there with the Eclipse Series. Have some OOP DVDs that I really want but will just wait for the future upgrades as well.